This is a guest post by Jeff Broth. Everybody’s doing it, but few make a profit. Business blogs contribute to the overall reputation and sales the company makes, so are worthwhile. Blogging otherwise is notoriously unprofitable. You need a .com domain name. It must be short and easy to spell. Ideally, your domain name will not be in the dictionary, because that way you can trademark the word. All that will take research and many searches and that can create problems. Most domain sellers sell your search data, which means that every time you search for a domain name and don’t buy it immediately, someone else will buy it and try to sell it to you for $200 instead of $20. This illustrates the necessity of finding a domain seller you can trust never to sell your search data. Look for companies like LCN that promise to keep your search data private. This privacy is worth a lot. Think outside the box when buying a domain name. It might be worth looking on-site auction sites such as Flippa.com for something already established. You need local hosting. Your web host should have servers in the same country as your clients or customers. If you are in the US, you have no end of choice of US-based hosts. 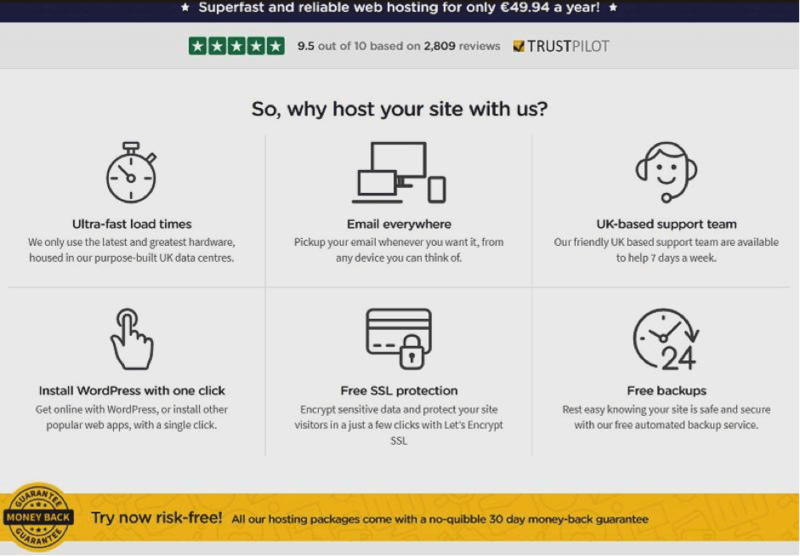 In the UK, you still have a choice, but there are fewer British-based hosting companies than American ones. 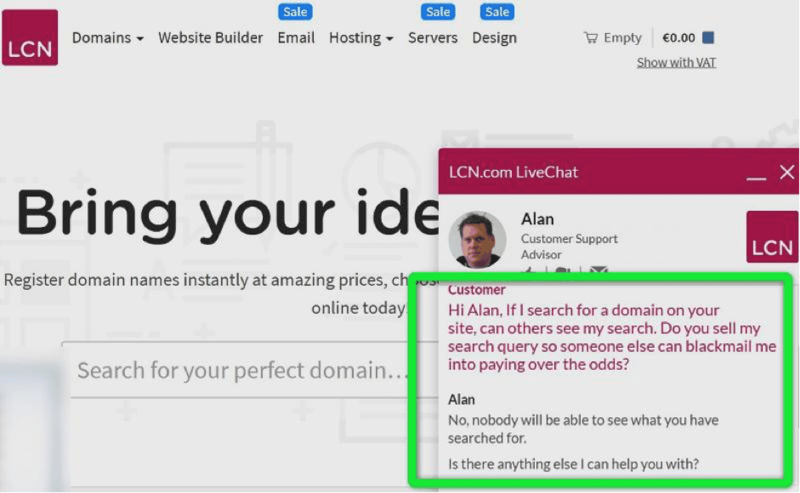 LCN is one UK hosting company with an excellent reputation and most importantly, UK support staff. When looking for a website host, look for SSD drives and SSL for maximum speed and security. Speed is more important than unlimited domains, disk space or bandwidth. The Internet is bursting apart with blog posts. Users are sick to the back teeth with boring content that fails to excite their senses. We can all string words together on the screen, but few of us can write engagingly. If you can’t do it, you need to hire someone, and to pay a fair rate for the work. If you pay $20 for 1,000 words, your ‘writer’ will outsource that to someone who promises to write it for $10, and the $10 writer will outsource it to a $2/1000 word writer. Save yourself a lot of grief and pay $100 for 1000 words, because that writer will be able to earn a living him or herself without needing to outsource all the work. Niche expertise is the reason you chose the niche. This expert may be the writer, but if not, he or she should brief the person who does the writing and check the finished work. A very common newbie mistake is to think everyone is your customer. Everyone might potentially benefit from your product, but 99% won’t buy it because they don’t have an urgent need to resolve the problem whose solution you offer. For example, everyone could benefit by buying a crock pot slow-cooker, but the need is only an urgent one for people who are working all day and come home at 6pm to a family demanding a cooked meal within three minutes. Others may be vaguely interested, but choose to spend their cash on solving more urgent problems. Focus on people who are desperate for your services. Most bloggers start with no products to market. From Day #1 you must have information products available for those who love what you say. These might be your own or affiliate products, but you must have something. If you want to do things right, you will have a range of products/services from $5,000 to $7 and free offerings to entice people into your sales funnel. Every page must be wholly focused on one purpose. There are no good, multi-functional blog posts. Every page on a blog must have its own goal. Every post must have a raison d’être. The object must be apparent to the reader, and there must be a clear call to action at the end of each piece. Yours can be one of the few profitable blogs, but you need to do things right from Day #1. If you try to scrimp on hosting or writer quality, your blog will join the overflowing compost heap of failed sites. Do things right, or not at all. You might get it wrong, but that’s no reason not to give it your best effort. Jeff Broth is our guest writer. His views are entirely his own and may not reflect the views of Bitcatcha. Apply to be a guest writer here. How The Malaysian SME Can Get Online – The Fast and Easy Way!